Lyon is popular among holidaymakers for its stunning architecture and its plethora of historical monuments, earning its title as a UNESCO World Heritage Site. Of course, it is also a hot spot among those who make the pilgrimage to experience some of the world’s most delicious food and wine. Les Brotteaux is a neighborhood idyllically situated in the 6th arrondissement of Lyon. 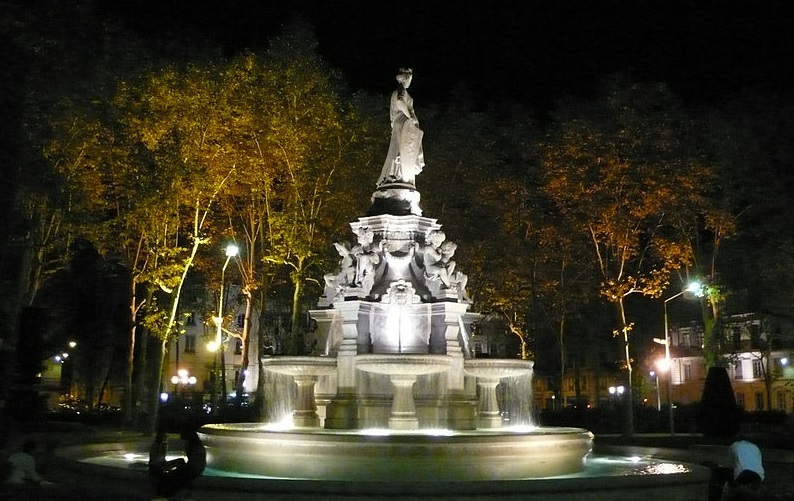 The quarter is in walking distance from the banks of the Rhône, a short walk from the Tête d’Or park, and boasts an iconic old railway station, meaning the district is no exception to tourism. 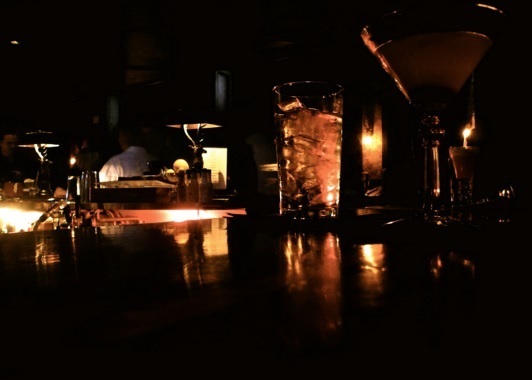 Here are a list of the top 10 bars to frequent in and around this district, after a full day of sightseeing. The façade of the old train station is ornate in design and irrefutably impressive. From the exterior, the building has large arched bay windows that are framed by decorative crests and mosaics. This stunning setting lends its location to a cozy wine bar. Choose from a selection of national French vintage wines and while away the evening in this picturesque location. 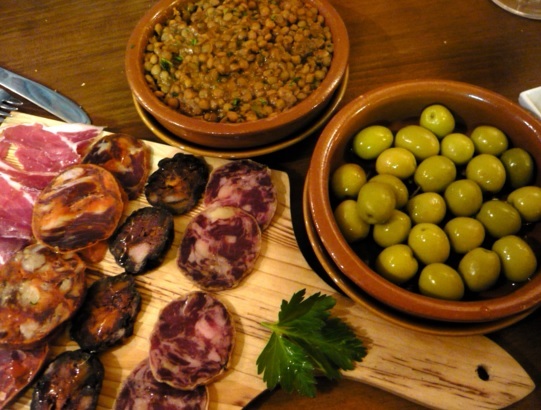 There is also a simple selection of food on offer, from a variety of tapas treats to cheese boards, all a great accompaniment to a glass of wine. There are a handful of L’Epicerie Comptoir wine bars dotted around Lyon, but this one located in Les Brotteaux is situated away from the hustle and bustle of Lyon’s metropolitan center, and one of the most popular. 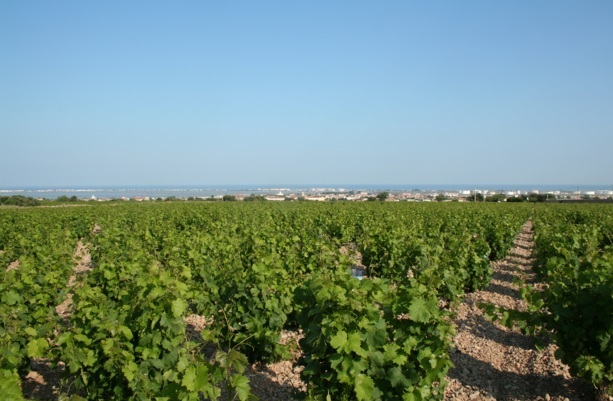 There is an extensive wine list on offer, with wines exclusively originating from Languedoc-Roussillon, a stunning coastal region in Southern France famed as a major wine producer. To nicely complement the richness of the wines, the bar boasts a delicious menu with plates of cured meats, Italian style antipasti and French classics on offer. This enchanting wine bar draws in the crowds with its elegant décor displaying tasteful, modern furnishings, chic color schemes and gentle lighting. As well as fantastic French wines, the drinks list offers a variety of original cocktails, created by the bars well trained mixologists, who are well informed of the drinks list. Le Plan B is ideal for a drink after work, and guests can choose to enjoy the stylish interior or sit outside on the outdoor patio on a balmy summer’s evening. Café Juliette is popular among locals and holidaymakers for its vast selection of spirits, wines and the list of inventive cocktails on offer. The cocktails are all expertly crafted and artistically presented – the perfect start to an evening in Les Brotteaux. On the weekends the bar is particularly lively, with local DJs entertaining the customers. The décor is glamorous, with a large chandelier serving as a dramatic centerpiece. There is also the chance to enjoy one of the bar’s drinks in the verdant garden, which is also tastefully designed. This unconventional venue takes the form of a large boat that floats on the Rhône River. While it is situated on the outskirts of Les Brotteaux, it is worth the short walk from the heart of the district for a unique bar experience. During the days, the boat is a pleasant place to enjoy a quiet drink and take in the views from deck, with staggering panoramas across the river to the other side of Lyon. By night, the bar comes alive with resident DJs, bands and various other events. The friendly bartenders serve a variety of drinks and are attentive to creating the perfect cocktails. Le Boudoir is located in the old Brotteaux train station and is a bar, restaurant and also doubles up as a nightclub on the weekends. The bar’s in house chef cooks with locally sourced, organic produce for delectable dishes during the day. After 11pm, the restaurant transforms into a dance floor, and the music volume is cranked up for those seeking a good night out. The drinks list is wide ranging, with wines and cocktails as well as an expansive list of 12 different whiskeys and a plethora of different brands of champagnes. Madamoiselle Rêve is located in the heart of Les Brotteaux, down Lyon’s charming backstreets. This small bar offers delicious French wines by the glass, as well as some fantastic food to accompany the drinks, all for a moderate price. This delightful wine bar is stylishly designed with low hanging lights providing pleasant, gentle lighting, adding to the bar’s friendly, relaxed atmosphere. Alternatively, enjoy a drink on the wooden terrace, perfect for a quiet drink with friends. This bar and restaurant is a quiet, stylish spot ideal for those seeking a quiet glass of wine to help them unwind into an evening. The drinks list boasts some tasty cocktails and regionally sourced wines. On top of this, the kitchen menu lists a variety of classic French dishes, from beef bourguignon to fresh seafood plates, and the kitchen offers a selection of Spanish-influenced tapas. This hip bar is situated in the west of Les Brotteaux, on the banks of the Rhône River. The bar therefore has exceptional panoramic views of the river and is the ideal location to watch the sunset over the city of Lyon in the summer months. The bar’s seating is al fresco, with shade cast from the grand plane trees that grow on the decking. Look out for special summer barbecues and sessions from local DJs. Café du Pond is located on the Place du Maréchal-Lyautey, a pleasant green space with trees, a fantastic fountain in its center and spectacular views of the Rhône River and the other side of Lyon. The bar serves an array of delicious French wines as well as a selection of digestive aperitifs. Café du Pond has a picturesque terrace that overlooks the quaint French square and is an enjoyable spot to take a break from the commotion of city life.